Dr. Joseph Shaw is the Director of the Optical Technology Center, Professor of Optics and Photonics, and Professor of Electrical Engineering at Montana State University in Bozeman, Montana, USA. Dr. Shaw develops optical remote sensing instruments for applications ranging from laser detection of fish from airplanes to measuring clouds for climate science. He also is a passionate photographer and the author of the 2017 book, Optics in the Air, which shows and explains numerous photographs of beautiful optical phenomena that can be seen in nature. 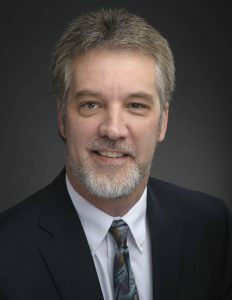 Recognition for Dr. Shaw’s contributions to optics research and education include the Presidential Early Career Award for Scientists and Engineers, the Vaisala Award from the World Meteorological Organization, and the 2019 Stokes Award from SPIE. Dr. Shaw is a Fellow of the Optical Society of America (OSA) and the International Society for Optics and Photonics (SPIE).